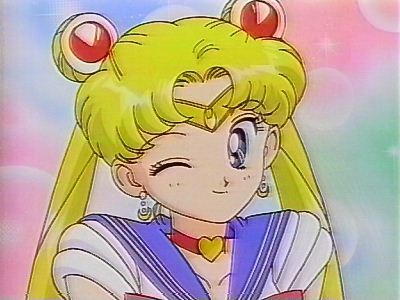 Prepare to not get any meaningful work done for the foreseeable future because Sailor Moon is now on Hulu! In case you weren't aware, this is a BIG DEAL. My younger self is sobbing with such an obscene amount of joy. Hell, I'm an adult and when I heard the news I flailed about in my chair and checked my budget to see if I can swing a Hulu subscription. I'm going to take the money out of my book budget. That is how much I want this! Sailor Moon is one of the quintessential Japanese anime series and has been loved for many years. There was a severely butchered version that ran on American TV in the early 90s and it was many kids first exposures to anime. I know it was certainly mine. Hulu has worked out a contract to bring Serena/Usagi and all her friends to your computer in all their glory. The episodes have been remastered and are offered in HD. While subtitles are the only available format, a whole new English dub is in the works. Even better, the entire series is going to uploaded bit by bit. We're finally going to see the fabled Sailor Stars series, as well as all the movies! Why is that such a big deal? Despite having a massive fanbase around the world, Sailor Moon has never been re-released after its disastrous Americanized version chopped it to ribbons. Many characters that were LGBT were twisted around (Sailor Uranus and Sailor Neptune being "cousins") or cut out entirely. It's been a huge sore point for the fans especially those of us in America where whole seasons were never made available. This time nothing has been changed and we are seeing the series as it was intended to be watched. No more changing the gender of a gay character or making a couple into cousins. That's why there is so much excitement around this release. It's what Sailor Moon fans have been waiting for for almost a decade! All of this comes from the fact that it's the 20th anniversary of Sailor Moon and a rebooted series will be coming out in July. The reboot was officially endorsed by Sailor Moon creator Naoko Takeuchi so my hopes are very, very high. I am so excited! A new DVD boxset of the series will be available at the end of the year as well. The first four episodes of Season 1 are now available and two new episodes go live every Monday until the end of time. They're uncut, uncensored and purely wonderful. The only thing missing from them is the excellently bad American Sailor Moon theme song. I still know all the words. "For instance, 'Serena' would refer to the clumsy, meatball-headed crybaby who puts herself on the line to forgive her enemies, while 'The Other Name' would refer to her similar manga counterpart, a slightly less idealistic warrior." I guess anime!Usagi didn't exist? Also, what?? Anyway, it's xenophobic and hilarious. That doesn't even surprise me. People can be so WEIRD. I think you mean Sailor Neptune and Sailor Uranus, they were the couple. Gah, you are right! Thanks! No problem. I used to get up early every weekday to tape the shows shown on PBS during high school. There is supposed to be a new season in the works, I think it comes out next year.